Pierre is a Professor in the School of Science. Has held senior positions in the Australian Society for Limnology (ASL; including as its President for a two year term 1999-2001); in Bush Heritage Australia Inc., a philanthropic organisation; in the International Association for Ecology and Health (elected as the founding Vice-President in 2006 and served for four years); and as a Founding Director of the Blackwood River Foundation. Appointed as theme coordinator (Wetlands and Human Health) for the Ramsar International Convention on Wetlands’ Scientific and Technical Review Panel for the 2009-2012 triennium, and has been selected for participation in other international scientific missions. Dr Horwitz has also been recognised for excellence in postgraduate supervision, and has examined 16 PhD theses in the last 12 years. Taxonomy, biogeography and conservation status of aquatic invertebrates. Doctor of Philosophy, University of Tasmania, 1986. Bachelor of Science Honours, The University of Western Australia, 1980. Locating loss from climate change in everyday places, Australian Research Council, Grant - Discovery Projects, 2018 - 2022, $209,656. Securing health in Fiji through strengthened health systems and integrated water management to tackle the Three Plagues: typhoid, dengue and leptospirosis., National Health and Medical Research Council, DFAT - Stronger Systems For Health Security Call, 2018 - 2022, $375,179. Environmental monitoring and investigations for the Gnangara and Jandakot Mounds – Gnangara wetland macroinvertebrate and water quality monitoring, Department of Water and Environmental Regulation (WA), Tender, 2018 - 2019, $23,748. Gingin Brook groundwater dependent aquatic fauna studies, Department of Water and Environmental Regulation (WA), Grant, 2019, $43,640. Environmental Monitoring and Investigations for the Gnangara Mound - Macroinvertebrate and Water Quality Monitoring, Department of Water and Environmental Regulation (WA), Tender, 2017 - 2018, $22,441. A collaborative national and international interdisciplinary research agenda to investigate the development, application and governance of pesticides., Edith Cowan University, ECU Collaboration Enhancement Scheme - 2017 Round 1, 2017 - 2018, $10,000. Enhancing research collaborations at the nexus of ecology and human health, Edith Cowan University, ECU Collaboration Enhancement Scheme - 2017 Round 1, 2017 - 2018, $6,270. Designing water quality monitoring protocols in catchments after severe wildfires: the 2016 Harvey River Basin case study., Edith Cowan University, ECU Industry Collaboration Scheme - 2016 Open Round, 2016 - 2017, $708,000. Environmental Monitoring and Investigations for the Gnangara Mound - Macroinvertebrate and Water Quality Monitoring, Department of Water and Environmental Regulation (WA), Tender, 2016 - 2017, $20,875. Quantification of the Biodiversity of the Lake MacLeod Northern Ponds, Dampier Salt Limited Perth Division, Grant-Dampsalt, 2010 - 2016, $433,711. Environmental Monitoring and Investigations for the Gnangara and Jandakot Mounds - Macroinvertebrate and Water Quality Monitoring, Department of Water and Environmental Regulation (WA), Tender, 2013 - 2016, $104,881. Macroinvertebrates of the Chittering Lake, Chittering Valley Land Conservation District Committee, Grant, 2016, $9,780. Dampier Salts sites and ponds and their importance for migratory and other shorebirds, Dampier Salt Limited Perth Division, Grant-Dampsalt, 2010 - 2015, $394,997. 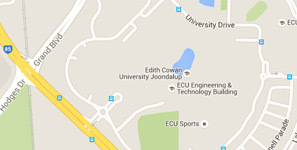 Foundational aspects for a research consortium on health, water and landscapes: a database and a learning network, Edith Cowan University, ECU Development Grant, 2013 - 2015, $80,624. Management of Brine Disposal into Inland Ecosystems, National Centre of Excellence in Desalination, NCED - Funding Rounds, 2011 - 2014, $1,089,433. Rottnest Island Salt Lakes – Feasibility of a Ramsar Site Nomination, Rottnest Island Authority, Grant, 2013 - 2014, $5,000. A Cultural Geography of the Leschenault Estuary: A social values study, Edith Cowan University, ECU Industry Collaboration Grant - 2012 (Round 1), 2012 - 2013, $93,515. Adapting to climate change: a risk assessment and decision framework for managing groundwater dependent ecosystems with declining water levels, National Climate Change Adaptation Research Facility, National Climate Change Adaptation Research Facility (NCCARF), 2012 - 2013, $85,180. The Social Ecology of Ningaloo Tourism, Commonwealth Scientific and Industrial Research Organisation (CSIRO), Ningaloo Cluster Project Scholarship, 2008 - 2013, $75,000. Project 4.1 - Wetland Macroinvertebrates and Water Quality (Gnangara Mound), Department of Water and Environmental Regulation (WA), Grant, 2008 - 2013, $184,031. Useability Index for the Swan Canning Riverpark, Swan River Trust, Grant, 2010 - 2011, $60,000. Data Audit and Research Framework for the Northern Ponds of Lake MacLeod, Dampier Salt Limited Perth Division, Grant-Dampsalt, 2009 - 2010, $25,000. Ecosystem Services and Productive Base in the Murray Darling Basin, Murray Darling Freshwater Research Centre, Grant, 2009 - 2010, $10,000. STCRC - Sustainable Resources Research Fellow, CRC Centre for Sustainable Tourism, Fellowship, 2008 - 2010, $185,096. Drafting Chapter for Gnangara Sustainability Strategy, Department of Environment and Conservation WA, Grant, 2008 - 2009, $8,900. Australian Tourism in a Water Constrained Economy: Scoping Study - Research Agenda, La Trobe University, CRC - Grant, 2008 - 2009, $15,000. Wetland Macroinvertebrates and Water Quality (Northeast Gnangara Mound), Department of Water and Environmental Regulation (WA), Grant, 2008 - 2009, $14,375. Evaluation of Training Techniques in Systems Thinking, Commonwealth Scientific and Industrial Research Organisation (CSIRO), CSIRO - Grant, 2009, $3,000. An investigation of aquatic macro invertebrate occurrence and water quality at Lake Chandala (2009), Department of Environment and Conservation WA, Grant, 2009, $6,494. Environmental Monitoring and Investigations for Gnangara Mound - Wetland Macroinvertebrate Monitoring, Department of Water and Environmental Regulation (WA), Grant, 2007 - 2008, $42,847. Assessment of Wetland Invertebrate & Fish Biodiversity for the Gnangara Sustainability Study, Department of Environment and Conservation WA, Grant, 2008, $23,715. Environmental water requirements of priority water resources in the South Coastal Region, Department of Water and Environmental Regulation (WA), Grant, 2006 - 2008, $72,321. Impact of Disturbed Acid Sulphate Soils on Freshwater Ecosystems, Western Australia, Department of Water and Environmental Regulation (WA), Grant, 2007 - 2008, $167,019. Stygofauna research monitoring, Natural Resource Services Pty Ltd, Grant, 2004 - 2008, $16,800. Fire management implications for the wetlands on the Swan Coastal Plain, Fire and Emergency Services Authority of WA, Grant, 2006 - 2008, $58,850. Fire, organic soils and acidification, Fire and Emergency Services Authority of WA, Grant, 2006 - 2008, $75,000. Gnangara Mound Monitoring - macroinvertebrates, Water and Rivers Commission WA, Grant, 2000 - 2007, $225,757. Biological assessment of the Milyeannup Heritage Site, Bush Heritage Australia, Grant, 2007, $4,500. A Participatory Approach to Understanding and Monitoring Soil Health, Agriculture WA, Grant, 2006 - 2007, $2,500. Vulnerability of organic soils to fire, Department of Conservation and Land Management, Grant, 2004 - 2006, $3,182. Neerabup fire suppression research and monitoring, Fire and Emergency Services Authority of WA, Grant, 2006, $22,920. Indicators of ecosystem health in Western Australian recovery catchments, Australian Research Council, Grant - Linkage (Projects), 2002 - 2005, $203,048. Investigation into the use of methoxyphenol and levoglucosan as biomarkers for woodsmoke exposure. , Department of Environment Regulation WA, Grant, 2003 - 2004, $23,100. Establishing best practice protocols in the management of occupational and environmental health in a high risk mining and ore processing environment., Edith Cowan University, ECU Industry Collaboration - Grant, 2003 - 2004, $40,000. Inventory of the Aquatic Flora and Fauna of the Australian Bush Heritage Funds Kojonup Bush Block Wetlands, World Wide Fund for Nature Australia, Grant, 2002, $17,357. Froend, R., Horwitz, P., (2018), Groundwater Dependent Wetlands. The Wetland Book I: Structure and Function, Management, and Methods, 1(159), 1149-1154, Dordrecht, Springer. Froend, R., Horwitz, P., Sommer, B., (2018), Groundwater Dependent Wetlands Ecosystems. The Wetland Book II: Distribution, Description, and Conservation, 2(24), 335-355, Dordrecht, Springer. Gudka, S., Horwitz, P., Reid, A., Armstrong, B., Marinova, D., Lawrence, C., (2017), Health and Wellbeing. Never Again: reflections on Environmental responsibility after Roe 8, 233-252, Perth, Western Australia, UWA Publishing. Horwitz, P., Parkes, M., (2016), Scoping Health Impact Assessment: ecosystem services as a framing device. Handbook on Biodiversity and Ecosystem Services in Impact Assessment, 62-85, Cheltenham, UK, Edward Elgar Publishing, DOI: 10.4337/9781783478996. Horwitz, P., Kretch, C., Jenkins, A., Hamid, AR., Burls, A., Campbell, K., Carter, M., Henwood, W., Lovell, R., Malone-Lee, LC., McCreanor, T., Moewaka-Barnes, H., Montenegro, R., Parkes, M., Patz, J., Roe, J., Romanelli, C., Sitthisuntikul, K., Stephens, c., Townsend, M., Wright, p., (2015), Contribution of biodiversity and green spaces to mental and physical fitness, and cultural dimensions of health. Connecting Global Priorities: Biodiversity and Human Health: A State of Knowledge Review, 200-220, Geneva, Switzerland, World Health Organization. Finlayson, M., Horwitz, P., (2015), Human health and the wise use of wetlands – guidance in an international policy setting. Wetlands and Human Health, 5(12), 227-250, New York, Springer, DOI: 10.1007/978-94-017-9609-5_11. Horwitz, P., Finlayson, M., Kumar, R., (2015), Interventions Required to Enhance Wetlands as Settings for Human Well-Being. Wetlands and Human Health, 5(12), 193-226, New York, Springer, DOI: 10.1007/978-94-017-9609-5_10. Horwitz, P., Roiko, A., (2015), Ecosystem approaches to human exposures to pollutants and toxicants in wetlands: examples, dilemmas and alternatives. Wetlands and Human Health, 5(12), 75-94, New York, Springer, DOI: 10.1007/978-94-017-9609-5_5. Finlayson, M., Horwitz, P., (2015), Wetlands as settings for human health – the benefits and the paradox. Wetlands and Human Health, 5(12), 1-14, New York, Springer, DOI: 10.1007/978-94-017-9609-5_1. Finlayson, M., Horwitz, P., Weinstein, P., (2015), A synthesis: wetlands as settings for human health. Wetlands and Human Health, 5(12), 251-263, New York, Springer, DOI: 10.1007/978-94-017-9609-5_12. Broderick, G., Horwitz, P., (2014), Sustainability Mining: Water for Mining, and Mining Water. Resource Curse or Cure? : On the Sustainability of Development in Western Australia, 207-219, Netherlands, Springer, DOI: 10.1007/978-3-642-53873-5_14. Parkes, M., Waltner-Toews, D., Horwitz, P., (2014), Ecohealth. Encyclopedia of Quality of Life and Well-being Research, 1770-1774, Dordrecht, Netherlands, Springer, DOI: 10.1007/978-94-007-0753-5_4172. Kavazos, C., Huggett, M., Mueller, U., Horwitz, P., (2018), Bacterial and ciliate biofilm community structure at different spatial levels of a salt lake meta-community. FEMS Microbiology Ecology, 94(10), article no. fiy148, DOI: 10.1093/femsec/fiy148. Chapman, K., Boschetti, F., Fulton, E., Horwitz, P., Jones, T., Scherrer, P., Syme, G., (2017), Knowledge that Acts: Evaluating the Outcomes of a Knowledge Brokering Intervention in Western Australia’s Ningaloo Region. Environmental Management (New York): an international journal for decision-makers, scientists and environmental auditors, 60(5), 896-907, New York, USA, Springer New York LLC, DOI: 10.1007/s00267-017-0917-1. Prescott, S., Larcombe, D., Logan, A., West, C., Burks, W., Caraballo, L., Levin, M., Van Etten, E., Horwitz, P., Kozyrskyj, A., Campbell, DE., (2017), The skin microbiome: impact of modern environments on skin ecology, barrier integrity, and systemic immune programming. The World Allergy Organization Journal, 10(29), 16p., BioMed Central, DOI: 10.1186/s40413-017-0160-5. Wooltorton, S., Collard, L., Horwitz, P., (2017), The land still speaks: Ni katitj. Philosophy Activism Nature, 13(13), 57-67, PAN Partners. Huggett, M., Kavazos, C., Bernasconi, R., Czarnik, R., Horwitz, P., (2017), Bacterioplankton assemblages in coastal ponds reflect the influence of hydrology and geomorphological setting. FEMS Microbiology Ecology, 93(6), article no. fix067, Oxford, United Kingdom, Oxford University Press. Kavazos, C., Huggett, M., Mueller, U., Horwitz, P., (2017), Biogenic processes or terrigenous inputs? Permanent water bodies of the Northern Ponds in the Lake MacLeod basin of Western Australia. Marine and Freshwater Research, 68(7), 1366-1376, Victoria, Australia, CSIRO Publishing, DOI: 10.1071/MF16233. Jenkins, A., Jupiter, S., Mueller, U., Jenney, A., Vosaki, G., Rosa, V., Naucukidi, A., Mulholland, K., Strugnell, R., Kama, M., Horwitz, P., (2016), Health at the sub-catchment scale: Typhoid & its environmental determinants in Central Division, Fiji. EcoHealth, 13(4), 633-651, New York, USA, Springer, DOI: 10.1007/s10393-016-1152-6. Wooltorton, S., Collard, L., Horwitz, P., (2015), Stories want to be told: Elaap Karlaboodjar. Philosophy Activism Nature, 11(2015), 3-11, Monash University, Vic, PAN Partners. Wooltorton, S., Wilkinson, A., Horwitz, P., Bahn, S., Redmond, J., Dooley, J., (2015), Sustainability and action research in universities: Towards knowledge for organisational transformation. International Journal of Sustainability in Higher Education, 16(4), 424-439, United Kingdom, Emerald Group Publishing Ltd., DOI: 10.1108/IJSHE-09-2013-0111. Richman, N., Bohm, M., Adams, S., Alvarez, F., Bergey, EA., Bunn, J., Burnham, Q., Cordiero, J., Coughran, J., Crandall, K., Dawkins, K., Distephano, R., Doran, N., Edsman, L., Eversole, A., Fureder, L., Furse, J., Gherardi, F., Hamr, P., Holdich, D., Horwitz, P., Johnston, K., Jones, C., Jones, J., Jones, R., Jones, T., Kawai, T., Lawler, S., Lopez-Mejia, M., Miller, R., Pedraza- Lara, C., Reynolds, J., Richardson, A., Schultz, M., Schuster, G., Sibley, P., Souty-Grosset, C., Taylor, C., Thoma, R., Walls, J., Walsh, T., Collen, B., (2015), Multiple drivers of decline in the global status of freshwater crayfish (Decapoda: Astacidea). Phil. Trans. R. Soc. B, 370(1662), Article No. 20140060, London, UK, Royal Society of London, DOI: 10.1098/rstb.2014.0060. Sitthisuntikul, K., Horwitz, P., (2015), Collective Rituals as Meaningful Expressions of the Relationships between People, Water and Forest: A Case Study from Northern Thailand. Journal of Intercultural Studies, 36(1), 88-103, Online, Taylor & Francis, DOI: 10.1080/07256868.2014.990365. Kingsely, J., Patrick, R., Horwitz, P., Parkes, M., Jenkins, A., Massy, C., Henderson-Wilson, C., Arabena, K., (2015), Exploring Ecosystems and Health by Shifting to a Regional Focus: Perspectives from the Oceania EcoHealth Chapter. International Journal of Environmental Research and Public Health, 12(10), 12706-12722, Basel, Switzerland, MDPI AG, DOI: 10.3390/ijerph121012706. Carter, M., Horwitz, P., (2014), Beyond Proximity: The Importance of Green Space Useability to Self-Reported Health. Ecohealth, 11(3), 322-332, Springer, DOI: 10.1007/s10393-014-0952-9. Patrick, MJ., Syme, G., Horwitz, P., (2014), How reframing a water management issue across scales and levels impacts on perceptions of justice and injustice. Journal of Hydrology, 519(PC), 2475-2482, Amsterdam, Elsevier, DOI: 10.1016/j.jhydrol.2014.09.002. Ko, SZ., Zhang, Z., Horwitz, P., Djajadikerta, H., (2016), Charting directions for economic development in Myanmar: A computable general equilibrium (CGE) approach on high quality education in labour-growth strategy. 2016 Conference Papers 19th Annual Conference on Global Economic Analysis, 1-24, Washington, USA, Global Trade Analysis Project. Master of Science (Environmental Management), THE ROLE OF FARM DAMS AS REFUGIA FOR AQUATIC INVERTEBRATES IN A SALINIZED LANDSCAPE. Doctor of Philosophy, FACTORS CONTROLLING WETLAND SEDIMENT RESPONSE TO ALTERNATE WETTING AND DRYING AND HOW THIS AFFECTS WATER QUALITY. Doctor of Philosophy, THE RELATIONSHIP BETWEEN THE MEANING OF WATER AND SENSE OF PLACE: A GROUNDED THEORY STUDY FROM NORTHERN THAILAND. Doctor of Philosophy, FACTORS INFLUENCING THE CAPACITY OF COMMUNITIES TO RESPOND TO COASTAL EROSION IN THE UPER GULF OF THAILAND. Master of Science (Environmental Management), AN ECOLOGICAL CHARACTERISATION OF A SHALLOW SEASONAL CLAYPAN WETLAND, SOUTHWESTERN AUSTRALIA. Master of Science (Environmental Management), UNDERSTANDING AND DISRUPTING INSTITUTIONAL SETTINGS: USING NETWORKS OF CONVERSATIONS TO RE-IMAGINE FUTURE FARMING LIVES. Doctor of Philosophy, TERRESTRIAL ISOPODS (CRUSTACEA: ONISCIDEA) AND BIOGEOGRAPHICAL PATTERNS IN SOUTH-WESTERN AUSTRALIA. Doctor of Philosophy, THE NATURE OF URBAN COMMUNITIES: AN EXPLORATION OF RELATIONSHIPS BETWEEN URBAN GREEN SPACE, ENVIRONMENTAL CONNECTION AND HEALTH. Doctor of Philosophy, SEEING THROUGH OTHERS EYES: EXPLORING WESTERN SCIENTIFIC AND INDIGENOUS ENVIRONMENTAL KNOWLEDGE. Doctor of Philosophy, COMPLEXITY & CREATIVE CAPACITY: REFORMULATING THE PROBLEM OF KNOWLEDGE TRANSFER IN ENVIRONMENTAL MANAGEMENT. Master of Science (Environmental Management), PARTICIPATORY APPROACHES FOR INTERPRETATION PLANNING IN A WORLD HERITAGE AREA. Master of Science (Environmental Management), BOUNDARIES OF GOVERNANCE: SOCIAL RESPONSIBILITY IN MINING IN WESTERN AUSTRALIA. Doctor of Philosophy, INORGANIC HYDROGEOCHEMICAL RESPONSES TO FIRES IN WETLAND SEDIMENTS ON THE SWAN COASTAL PLAIN, WESTERN AUSTRALIA. Doctor of Philosophy, IDENTIFICATION OF SOCIAL WATER REQUIREMENTS FOR WATER RESOURCE PLANNING. Doctor of Philosophy, APPLYING THE PRINCIPLES OF SPATIAL MODELLING TO THE MANAGEMENT OF BIODIVERSITY IN THE FRAGMENTED LANDSCAPES OF SOUTH-WESTERN AUSTRALIA.